1. The night time. I've always been naturally nocturnal. I get all my energy and creativity after midnight. 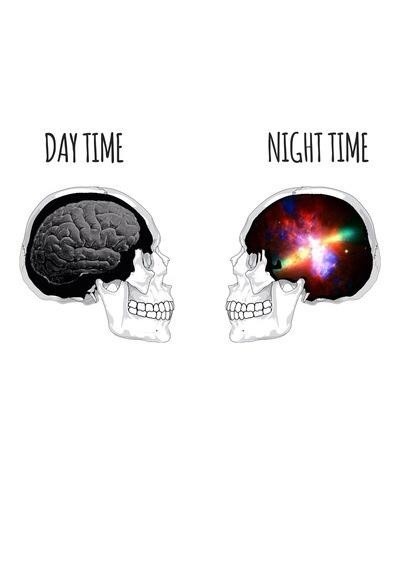 I'm the eternal night owl. 2. Music. Silence is deafening. I'm usually listening to something. Everything from classical to oldies to alternative rock to hip hop. 3. People watching. Creeping it real. I like to observe. 9. Dreams. Daydreams. Thoughts (walks, the shower...). 13. Thrift shops/Antiques/Objects with a past. 19. Coast to Coast AM. Talk radio when it gets weird.